Cate Blanchett as Lady Galadriel in "The Fellowship of the Ring"
Don't spill any food or water on your ballot. The machine or process will kick those out. 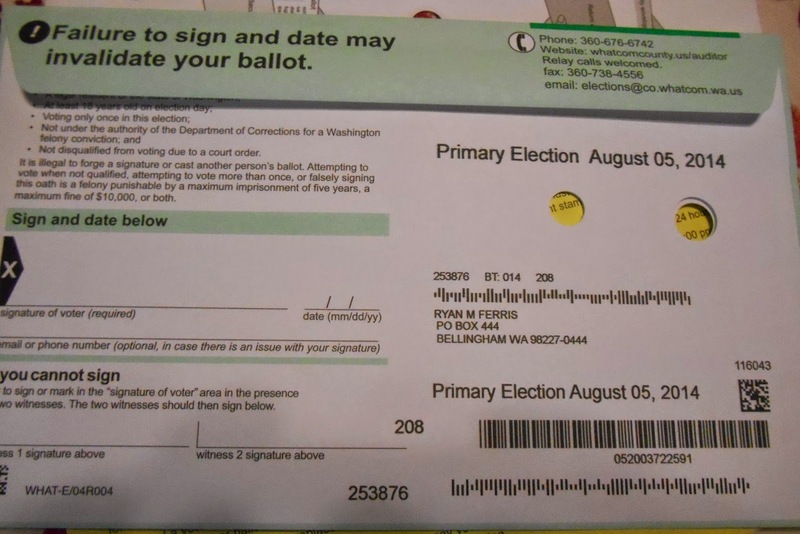 If you have the time, bring the ballot directly to the Whatcom County Elections desk or downtown ballot box. Setting it aside once you've filled it out; this often leads people to think that it's been mailed, and discover it too late. Setting it aside before you've filled it out in a place where you won't see it every day. Same result as above. Waiting until the evening of election day to turn it in. The deadline is 8pm. At exactly 8:00:01pm, it is too late to vote. Not finding out where to turn in your ballot. It's as simple as calling your county auditor. I've listed the phone numbers for the elections divisions of all the county auditors in the state below. Also, anybody who calls you for GOTV (and they will) will know where you can turn it in. Mailing it on election day. This is the most important one to avoid of all. You'd think that if you got it to your local post office by 5pm on election day, that it would be postmarked that day. However, in many counties (including Kitsap, where I live), the postmarking has been consolidated to a larger city facility. In the case of South Kitsap, that is Tacoma. If you mail your ballot at any time on election day in South Kitsap, your ballot will be postmarked the next day and therefore be too late. Your vote will not count. This is happening all over the state. So get that ballot in before election day to make sure it counts!